Here are some Bed Bug Pictures and pictures of bed bug eggs to help you identify them. Have you seen little black bugs walking around your bed at night? Here are some bed bug pictures to help. However, if you haven’t travelled recently or there’s no other reason why you might have a sudden infestation, perhaps you’re dealing with a different kind of bug. 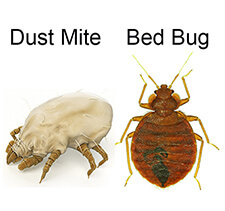 Below are some bed bug pictures and bed bug eggs to help you identify them. Before you take any steps to deal with a possible infestation, you should be 100% certain that you’re actually dealing with bed bugs. The best way to do this is to familiarise yourself with what bed bugs look like – that way you can identify the type of bugs you’re dealing with and avoid wasting time on ineffective treatments. Bed bug pictures and pictures of bed bug eggs. It can be difficult to see bed bug eggs with the naked eye. They are commonly: • white • tubular in shape Females can lay up to 5 eggs per day and more than 500 eggs in a lifetime. There are five bed bug lifecycle stages that bed bugs go through after the eggs have hatched and before reaching adulthood: • first stage nymph: 1.5mm • second stage nymph: 2mm • third stage nymph: 2.5mm • fourth stage nymph: 2.5mm • fifth stage nymph: 4.5mm • adult: 5.5mm Nymphs generally “molt” to the next life stage after a feed or blood meal. The lifecycle process can be anywhere from 5 weeks to 6 months. Read more about the bed bug lifecycle here. More pictures of bed bugs and bed bug eggs here. What do bed bugs look like on my bed? If you have bed bugs on your mattress, here are some things to look out for: • bed bugs of various sizes (lifecycle stages) • bed bug eggs • castings • blood spots • faeces If you can’t see evidence of bed bugs on your mattress, check the cracks and crevices, as these are the places that bed bugs tend to hide in. If you’ve identified bed bugs in your home and are looking for an effective way to remove them, our Bed Bug Killer products can help to kill the bugs and prevent future infestations. Bed Bug Killer is a natural powder that can be applied with no downtime. It kills bed bugs by dehydrating their shells and one application provides long-lasting prevention.